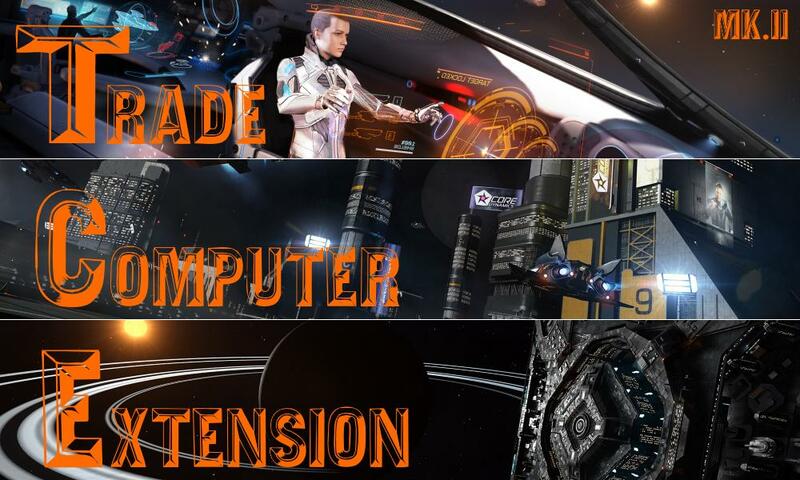 Fully displays in-game of Elite Dangerous as an overlay, no ALT-TAB in/out! One-Click EDMC support, when installed. One-Click Neutron Highway Route Plotter support, included. Precise Surface Navigation for planetary flights. Easy data input for all kind of informations. Star system map, like the in game one. Planetary map for locations on planets. Trade Route Planner to create individual trade routes. Extensive Exploration feature for your voyage into the stars. Waypoints showing the fastest way between markets. Personal stellar cartography to know your surrounding star systems (region summary, visits, explorations, stars, planets, screenshots and many more). Personal Logbook with stats, travel history, bookmark system for locations, ship report, income and spending. 88k+ star systems in database. 49k+ pre-named unregistered trade markets for less manual input. Optimized for 1920x1080 or 1920x1200 screen resolutions, but all others will work (min. 1024x768). Individual positioning and size of all panels at your display (Multi-Monitor support, up to 5). Supported Languages: English, German, French, Russian, Spanish. Local database with online price data update through EDDB-Relay (incl. ), if desired. Jan 23, 2019 (Eventure) New Version 1.7.4.5 released. Some fixes, new Notes panel. May 26, 2018 (Eventure) New Version 1.7.0 released. New exploration feature, incl extensive statistics about your voyage. Apr 10, 2018 (Eventure) New Version 1.6.9 released. New Cartography panel with system map, like in game. Mar 21, 2018 (Eventure) New Version 1.6.8 released. Surface Navigation rework. Dec 21, 2017 (Eventure) New Version 1.6.5 released. 64-bit support, new panels and upgrades. Sep 16, 2017 (Eventure) New Version 1.6.0 released. Added Multi-Commander support, new launcher, etc. May 1, 2017 (Eventure) New Version 1.5.5 with a new icon-based interface. Feb 15, 2017 (Eventure) New Version 1.5 released. Dec 4, 2016 (Eventure) New Version 1.4.2 released. Oct 26, 2016 (Eventure) Added French translation note. Jul 4, 2016 (Eventure) New Version 1.3.5 released. May 26, 2016 (Eventure) New Version 1.2.5 released. Apr 9, 2016 (Eventure) New Version 1.2.0 released. Mar 31, 2016 (Eventure) New Version 1.1.9 released. Feb 29, 2016 (Eventure) New Version 1.1.5 released. Feb 21, 2016 (Eventure) New Version 1.1.3 released. Region Summary added. Jan 20, 2016 (wolverine2710) Changed link type from "website"to thread for the TCE.MKII thread link.